Available in Hardback, and Kindle. Imagine a thriller spanning 600 hundred years. Sounds incredible but that is exactly what Manda Scott has achieved just that with Into the Fire. This is a unique recipe of two great crime novels rolled into one outstanding read that will keep the reader up all night. You have been warned. The key characters are the Police Capitaine Ines Picaut from current time and from 1429 Joan of Arc trying to turn the tide in the war with the English. The story opens in current time (2014) and Orleans is under attack by arsonists and on this occasion Capitaine Picaut is called to a hotel in the centre of the old town that has been hit and this time amid the flames lies the charred remains of a body of a male but his identity is unknown. All she has to go on are Islamic extremists claiming responsibility. Who is the dead man? Did he know his attackers? The post mortem later revealed a memory card lodged in his throat. As the investigations move forward to try and solve this crime, the arsonists strike again this time the CCTV cameras have footage. The chase is now on, but there is more to this story that a modern day crime. In 1429 Joan of Arc (The Maid of Orléans) was in the process of fighting the English, and Tomas Rustbeard has been sent as an undercover operative to seek out and eventually kill ‘The Maid’ and the myth that surrounds her. This part of the story in woven skilfully by the author in to the modern day crime spree. I have a bucket full of admiration for Manda Scott and the volume of research that has been undertaken to write this novel that spans 600 years. I will admit at first just holding the book I was not sure if it would stand up, but I was nothing but blown away by the storyline and style of writing. The characters that appear in the pages of Into the Fire are not only strong and but believable as well as the outstanding storyline. Without doubt it will make it to my shortlist of books of 2015. This is a book that should be on your reading list for this summer it has bags of Heroism and evil to match and keep the reader glued to every page as it weaves from 2014 back to 1429. A true masterclass in historical fiction writing. Manda Scott is a former veterinary surgeon who is now a writer, Born and educated in Glasgow, Scotland, she trained at the University of Glasgow School of Veterinary Medicine and now lives and works in Shropshire. She made her name initially as a crime writer. Her first novel, Hen’s Teeth, hailed by Fay Weldon as ‘a new voice for a new world’ was shortlisted for the 1997 Orange Prize, and No Good Deed was nominated for the 2003 Edgar Award. 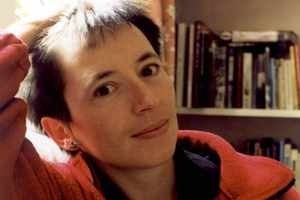 Her subsequent novels, Night Mares, Stronger than Death and No Good Deed, for which she was hailed as ‘one of Britain’s most important crime writers’ by The Times, were published by Headline and are now published, along with her other books, by Transworld Publishers, an imprint of Random House. She writes both historical and contemporary thrillers. “The Boudica series” are her first historical novels. Her more recent Rome series (written under the name MC Scott), beginning with The Emperor’s Spy, are spy thrillers, set in the same fictional universe with some of the surviving characters from the Boudica series. Between the two major historical series, she wrote The Crystal Skull, a dual timeline novel with a historical thread set in the Tudor era and a contemporary thriller set in modern-day Cambridge. Her latest novel is a fast-paced, dual timeline thriller, Into the Fire, which explores the truth behind the myth of Jeanne d’Arc – and the impact those revelations could have on modern day France. Competition time. 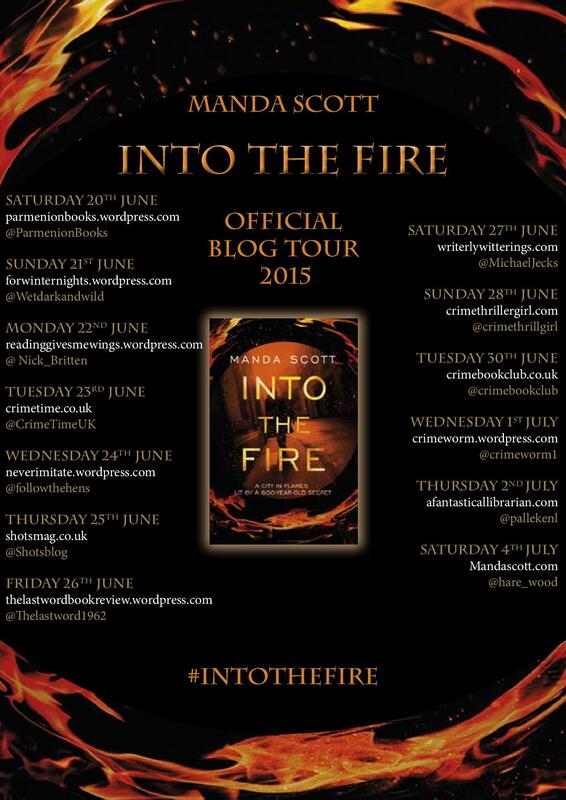 Would you like to win a signed copy of Into the Fire by Manda Scott. Head over to my Twitter page: @Thelastword1962 Just follow and retweet the post for this review and you will go into the draw to win a signed copy. Entries close at 9pm Friday 26 June and the Winner will be notified on Saturday morning. 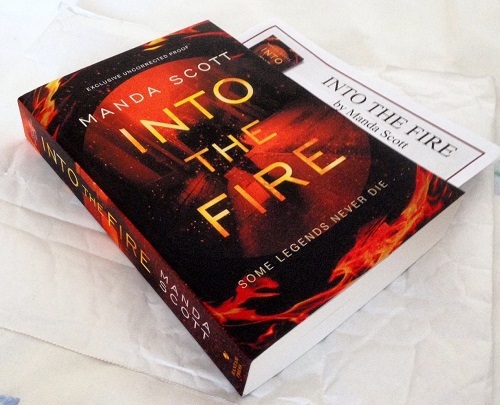 Into The Fire by Manda Scott. The Blog Tour Dates. 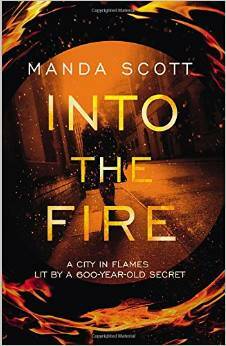 It is Happy Publication Day to Manda Scott and Into The Fire released today. It is an outstanding read and will prove to be a sensational Summer hit. Look out for my review coming soon.